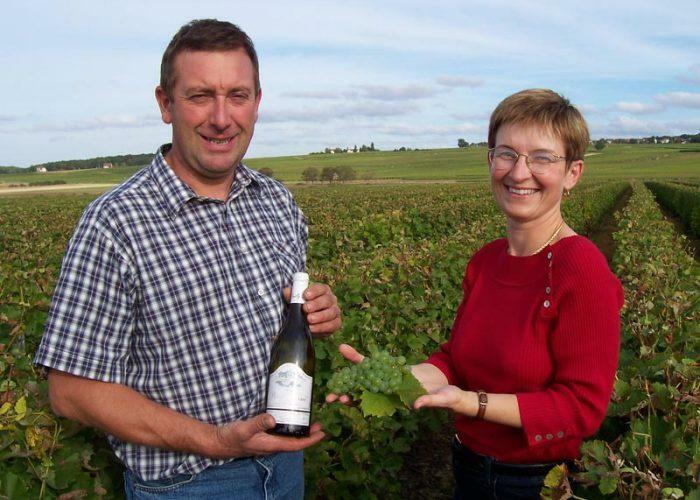 Winemaker and owner Francis Blanchet's domaine consists of around 8 ha (4ha estate owned and the remainder leased and farmed 100% by the Blanchet's under fermage contract) of vines comprising many different parcels within the appellation. The unifying signature, year to year, for the Blanchet wines always tends to be: citrus, mineral and purity. All of the vines used for his "Cuvée Silice" (the cuvée which MSW always buys) are situated in the quaint village of St. Andelain, which boasts the largest percentage of "silex" or "silice" soil in the entire Pouilly Fume appellation. Those vines are all 25 years old now, planted by Francis himself.